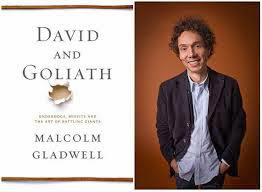 Malcolm Gladwell is the bestselling author of The Tipping Point, Blink, Outliers, What the Dog Saw and his most recent workDavid and Goliath. Gladwellstated, “I write for people who are curious and don’t mind having their beliefs challenged.” I enjoy his books and they do indeed challenge what society accepts as the norm. Obviously there is a market for people that like to be challenged.